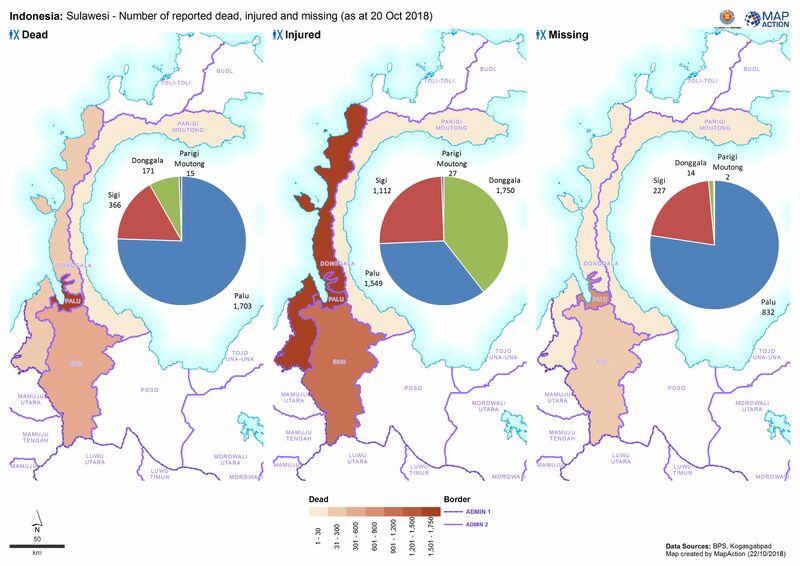 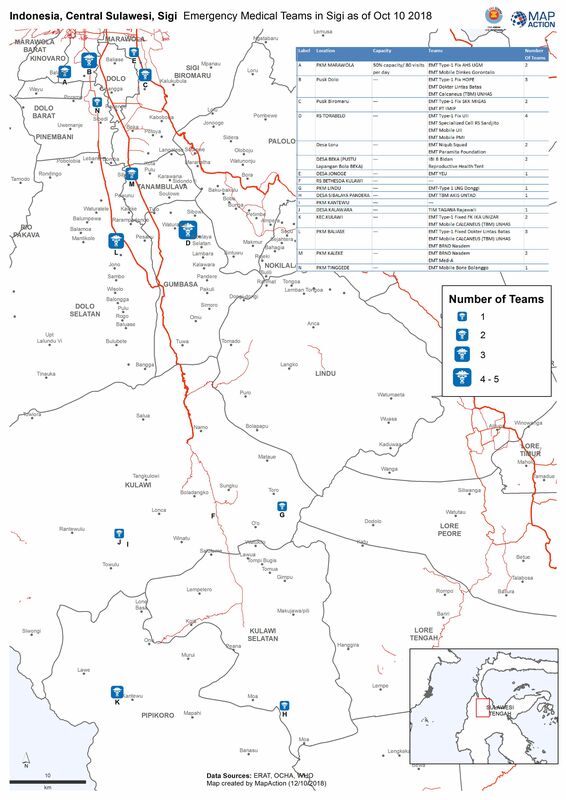 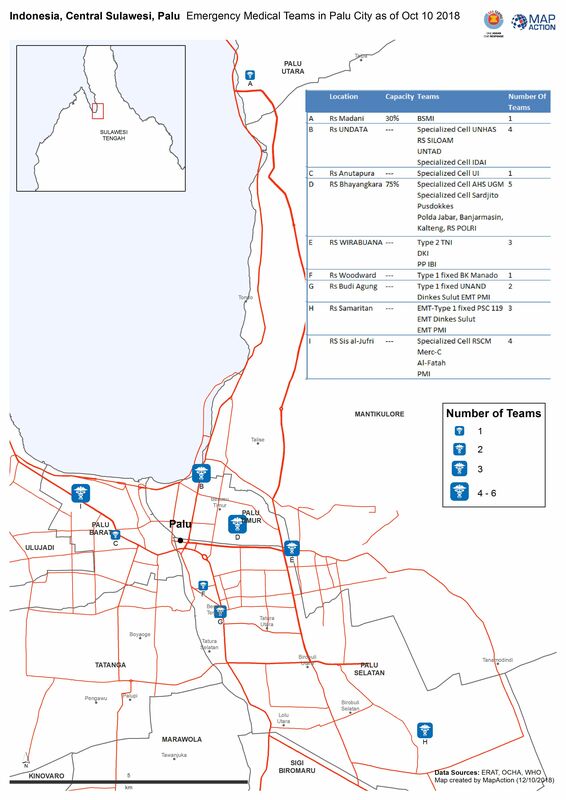 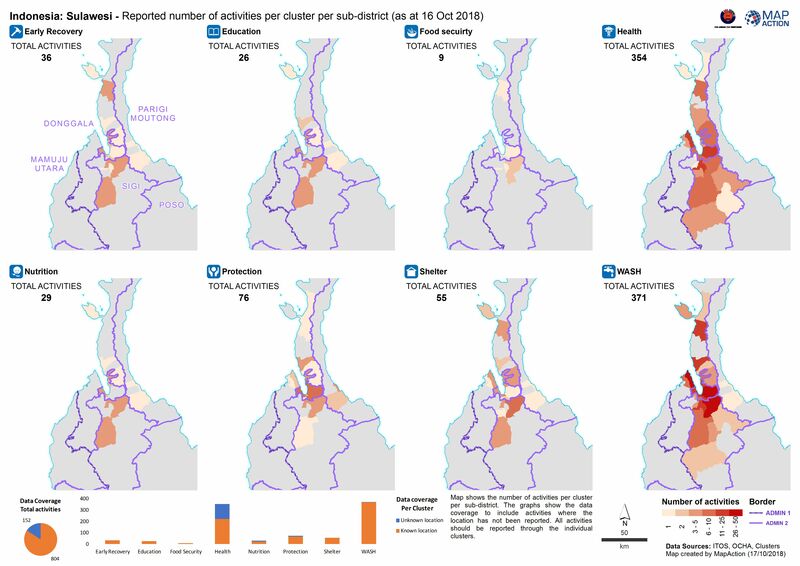 Map shows the number of latrines, public kitchens and water services that were recorded on assessments by the ERAT team. 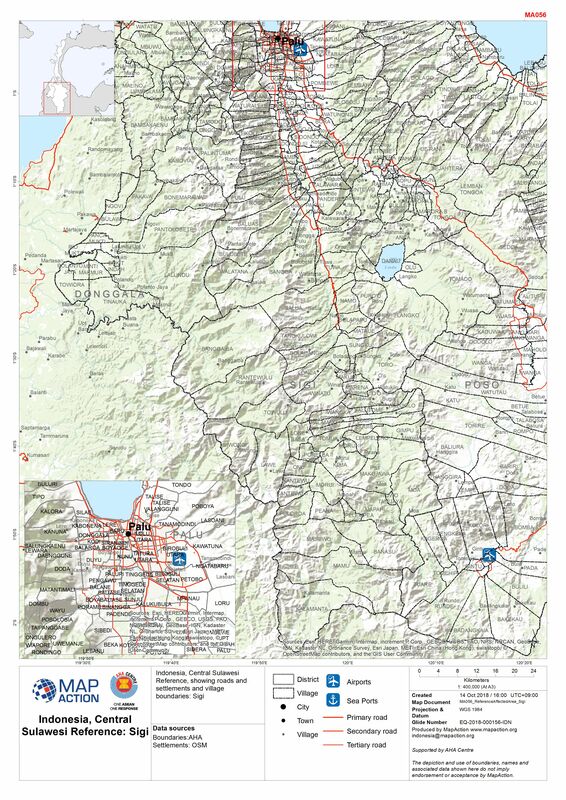 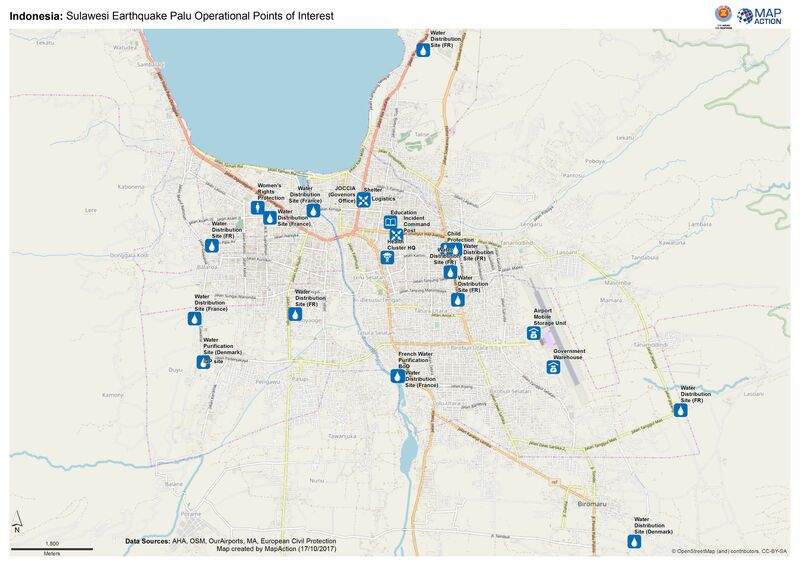 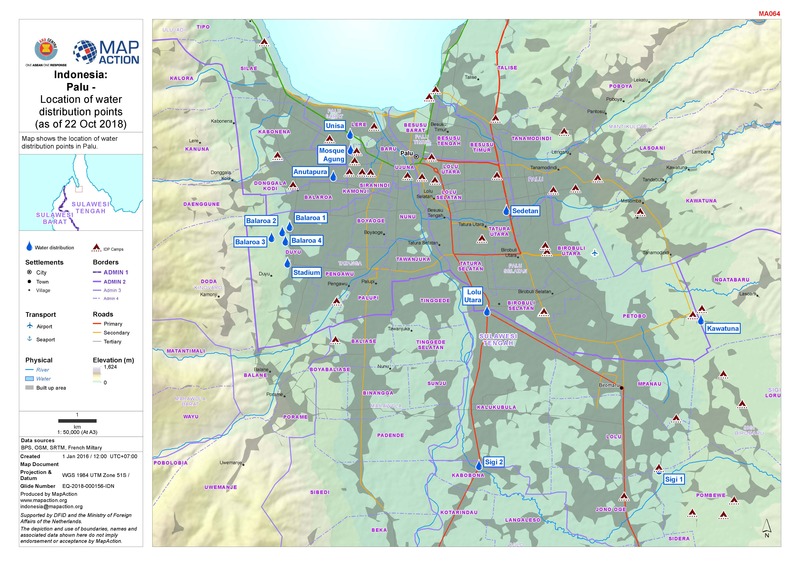 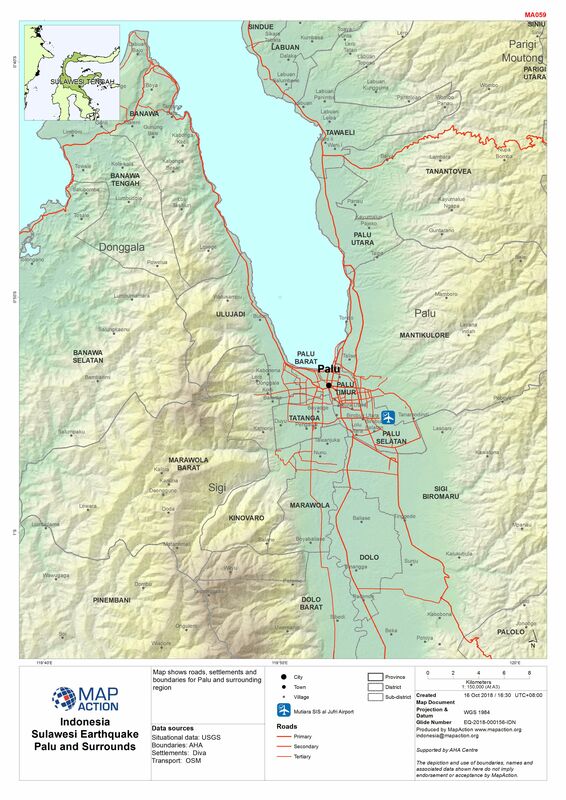 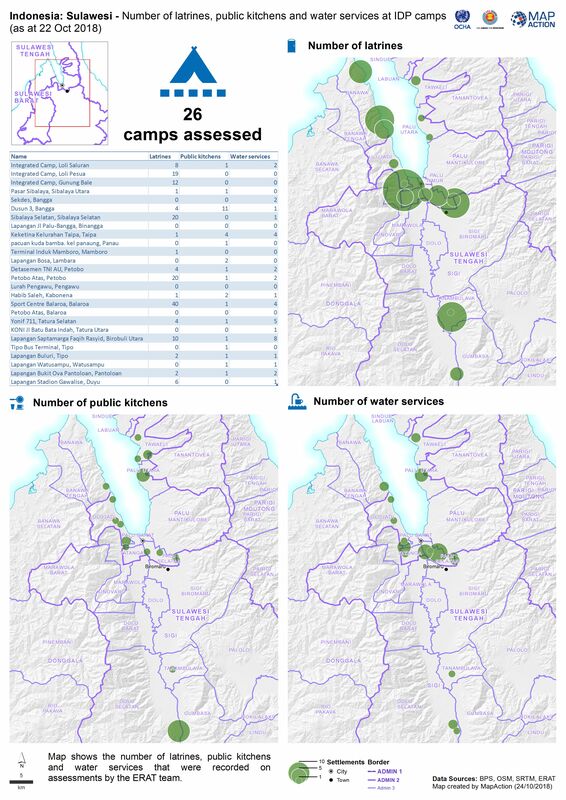 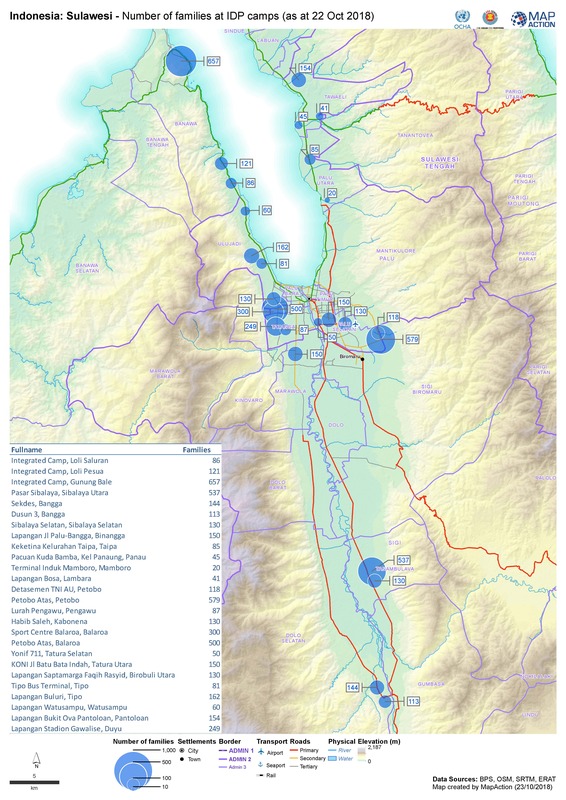 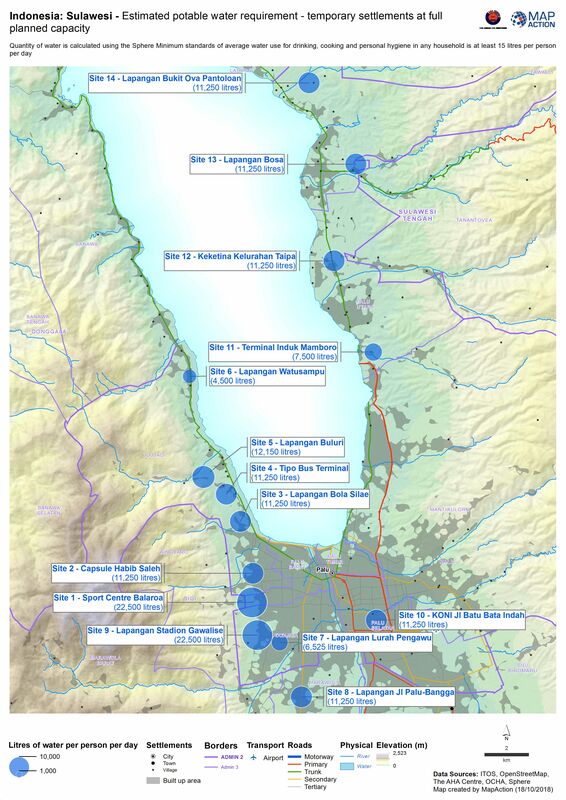 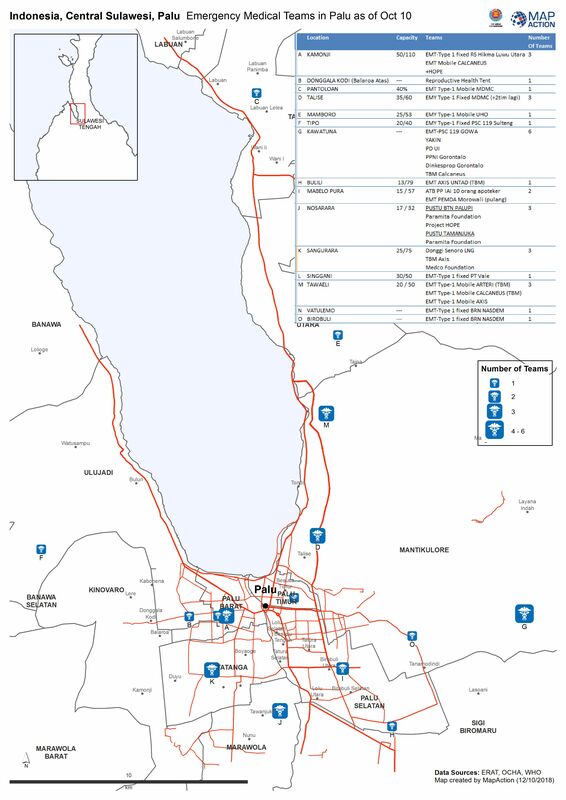 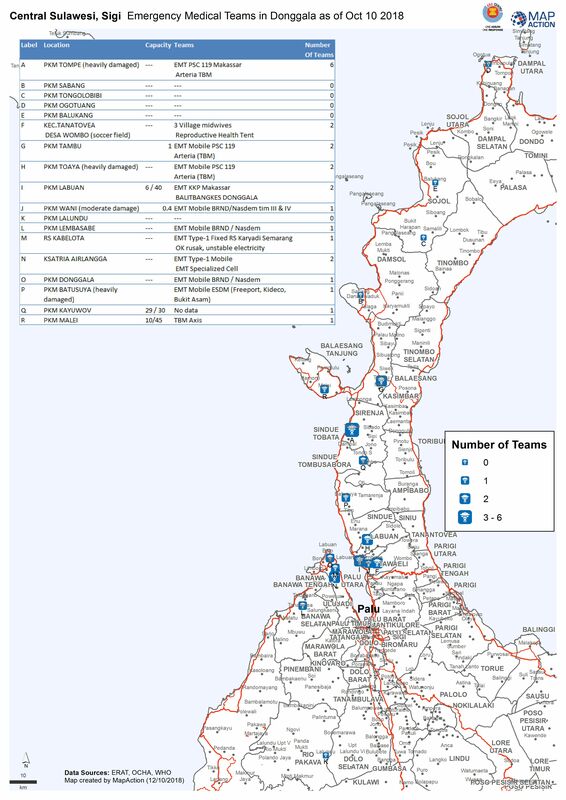 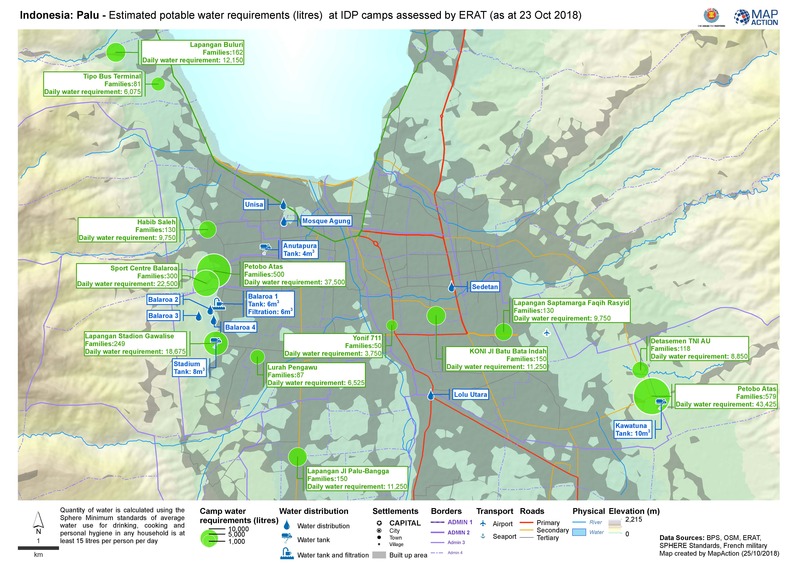 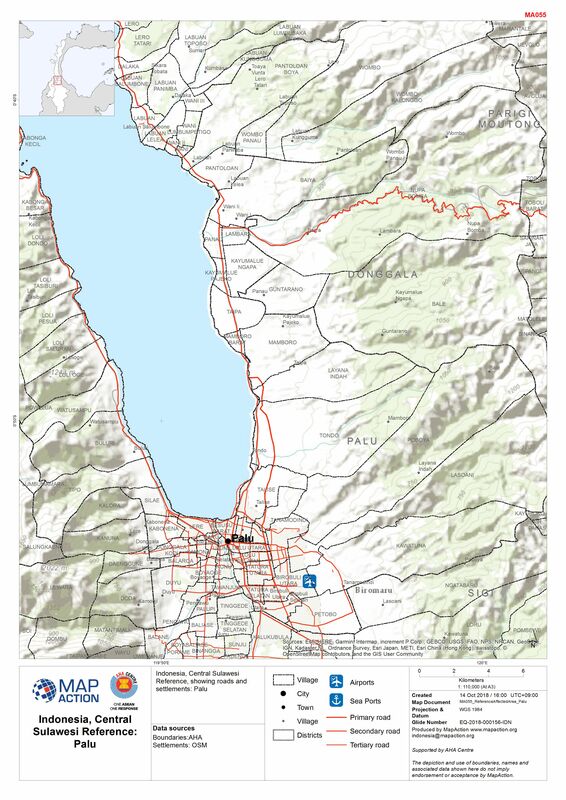 Map shows the location of water distribution points in Palu. 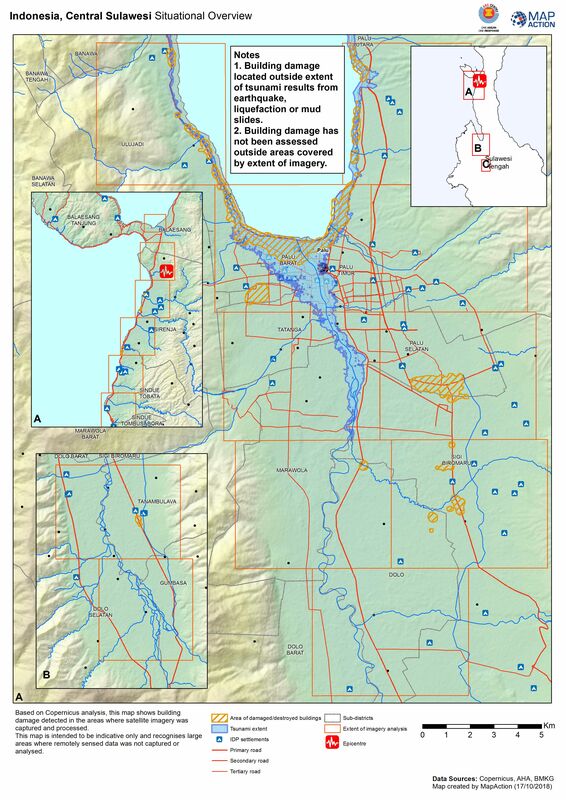 Map shows the percentage of buildings damaged per Desa based on satellite-derived analysis. 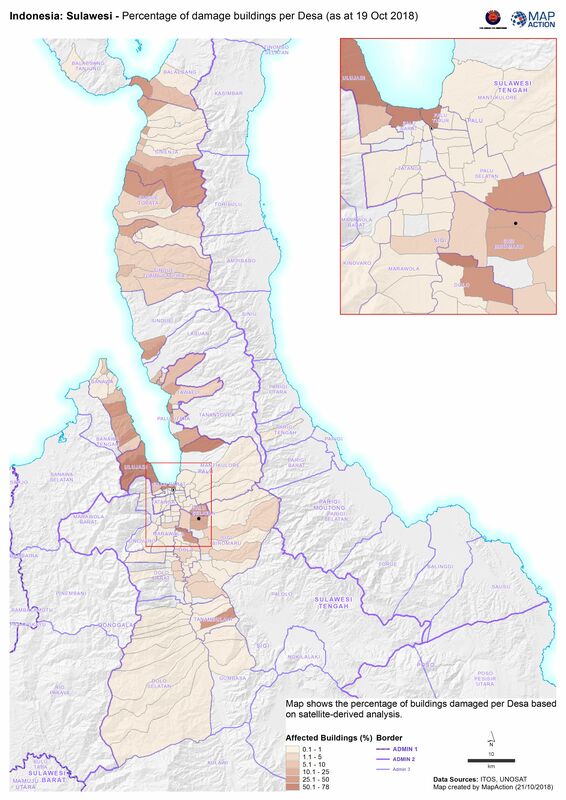 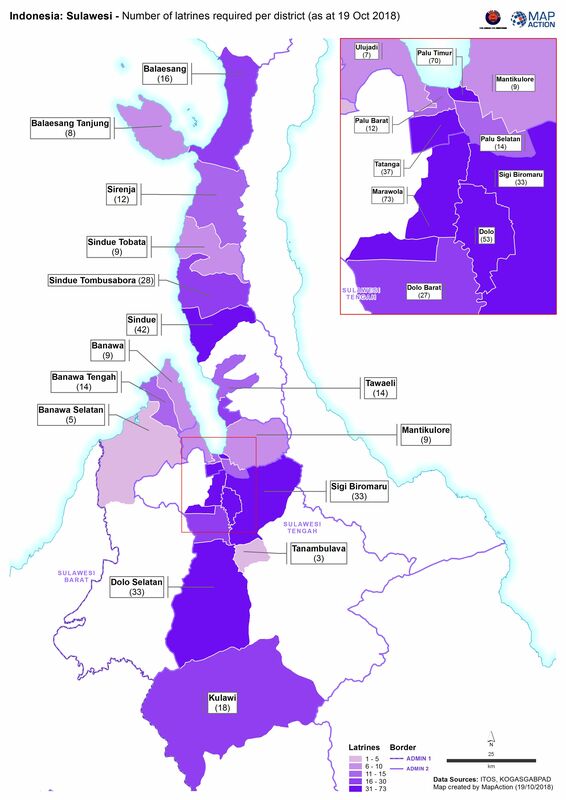 Map shows the number of latrines required per district.